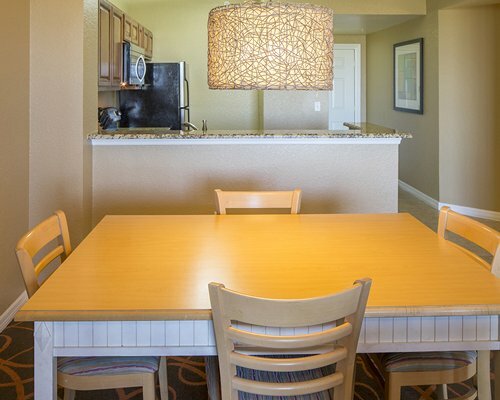 Located near the center of activity, Orlando's Sunshine Resort II offers guests easy access to all there is to do as well as a respite at the end of the day. 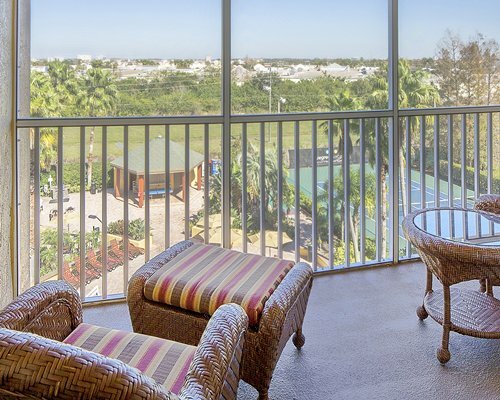 With on-site pool and children's pool, spa, sauna and tennis court, the resort is family-friendly and also handicapped accessible. 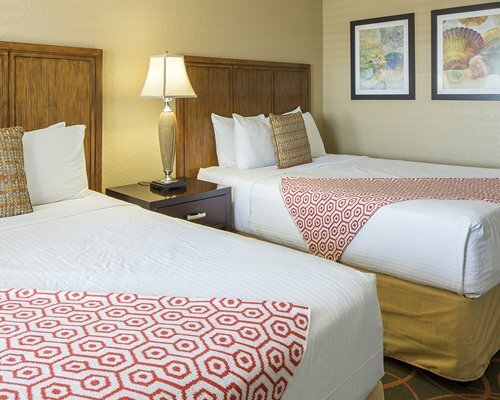 The friendly staff is always ready to help make guests' stay pleasant and comfortable. 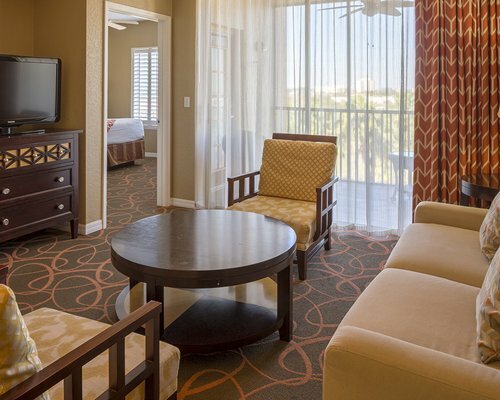 All the two-bedroom units at Orlano's Sunshine Resort II are equipped with all the amenities guests want and appreciate. 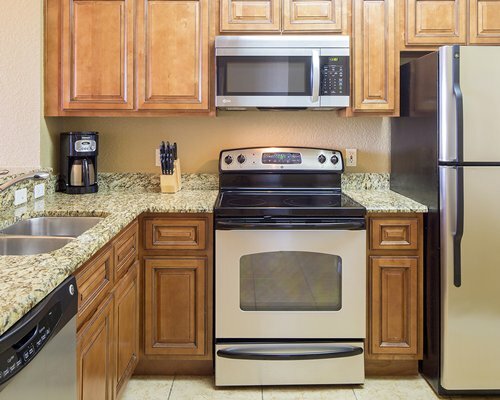 Kitchens are complete with dishwasher and microwave, and all units are fully carpeted and air-conditioned, with washer and dryer and whirlpool/hot tub. Orlando is Florida's playground – featuring renowned amusement and theme parks, world-class dining and shopping, sporting events, museums and galleries, natural habitat and immaculately-groomed gardens, golf, tennis – and so much more. For families, no visit to Orlando is complete without a trip to Walt Disney World®, Epcot Center, SeaWorld or Universal Orlando. 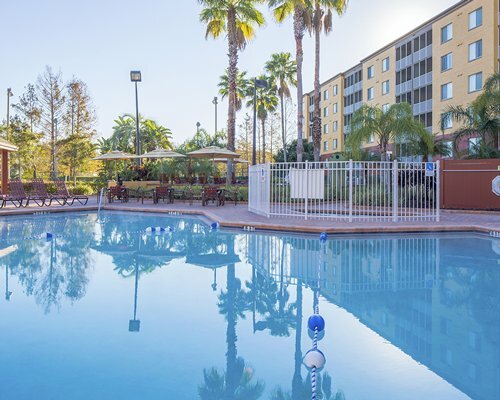 Orlando is also a sports lover's paradise: in addition to myriad golf courses, visitors can play tennis, fish, swim, boat, learn to waterski, catch an Orlando Magic game or watch spring training at the ESPN Wide World of Sports® Complex. Cultural events include museums: for art, it's the Orland Museum of Art or the Metropolitan Museum of Art. Hungry? You could eat at a different Orlando restaurant three times a day for months and not exhaust the supply of restaurants from fine-dining establishment to casual eateries. 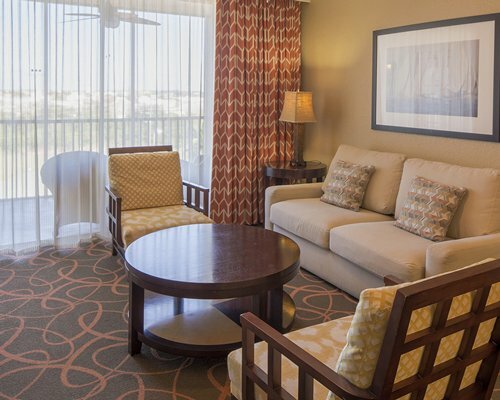 From fun-in-the-sun activities to nightlife, there is something for everybody in Orlando. 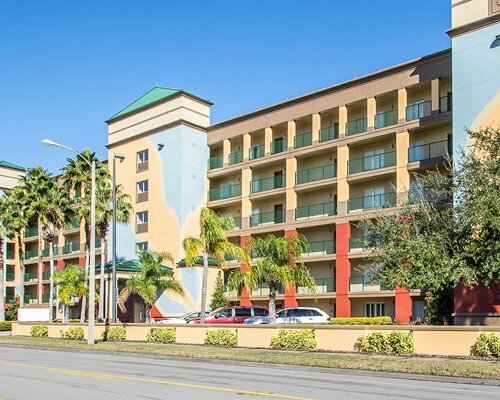 The nearest commercial airport is Orlando International, about 12 miles away. FROM THE AIRPORT: Take 528 West(Beeline) to I-4 East to exit 75-A, right onto Universal Blvd to International Dr. Go left. Follow to Del Verde Way and turn left. Resort on right. FROM TURNPIKE NORTH OR SOUTH: I-4 West to exit 75-A, then left on International Dr. Follow to Del Verde Way and go left. FROM I-75 (Tampa): Follow I-4 East to exit 75-A. Exit right onto Universal Blvd and then left on International Dr and left on Del Verde Way. FROM I-95 NORTH OR SOUTH: Take I-4 West to exit 75-A (which will be in the left lane), turn left on International Dr and left on Del Verde Way. 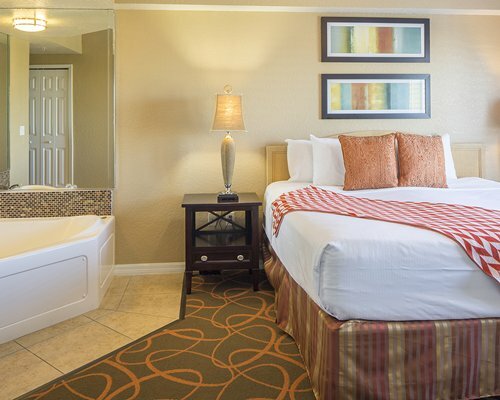 "Housekeeping fee for all RCI points reservations: There may be a fee of 73.00 U.S. dollars for all units, per stay. Cash or Credit is accepted."